New Jersey Gov. 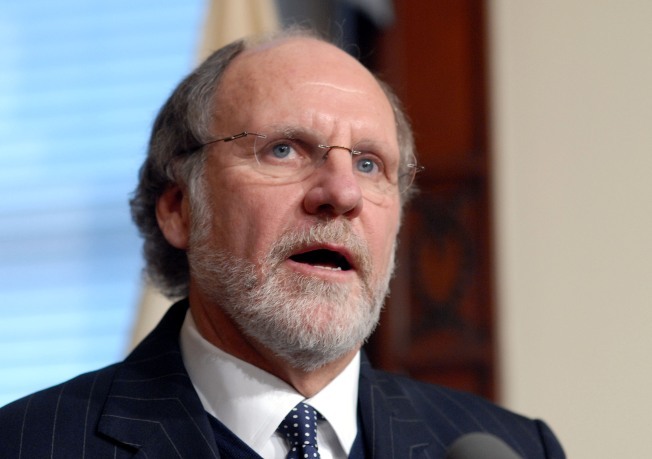 Jon Corzine says his state's share of President Obama's proposed stimulus plan would do much for job creation. Gov. Jon S. Corzine says the $17 billion-plus in federal stimulus money headed to New Jersey will generate or protect 100,000 jobs. Corzine tells WNYC radio's Brian Lehrer that the jobs tally includes keeping police officers, firefighters and teachers who might have been laid off in the deepening recession. The governor also says he and the Legislature will have little control over most of the money, including $7.5 billion in tax breaks. Much of the $10 billion or so in spending is earmarked for programs like Medicaid or the unemployment insurance fund. Corzine says a screening process will be set up for discretionary spending on projects like clean energy and road and bridge repairs.